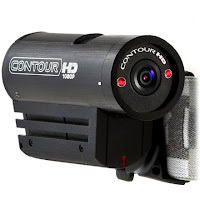 I prefer the design of the ContourHD but the standard package has a near-fatal flaw: poor and limited mounting accessories for helmets and goggles. A variety of mounts are available, they’re just sold separately. 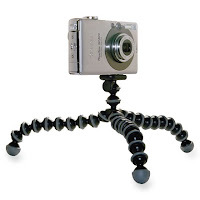 The GoPro HD includes more, and more secure, mounts—my personal recommendation. is remarkable not for its design (which is very slick and functional), but for the fact that this was the second Christmas in a row where store shelves cleared of these things. Why hasn’t any other manufacturer come up with a cheaper, knock-off version of this thing? Now also available as a mount for iPods and iPhones, SLRs, even an integrated flashlight. ulk (5 ounces), though the extra tools are limited (knife, driver bit, and clip). 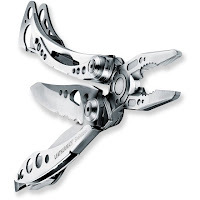 The Skeletool was joined mid-year by the Freestyle, which stripped it down to its bare essentials: pliers and knife only ($45). Both are available in a CX version with anodized housing for corrosion resistance and higher quality steel in the blade ($20-$25 more).